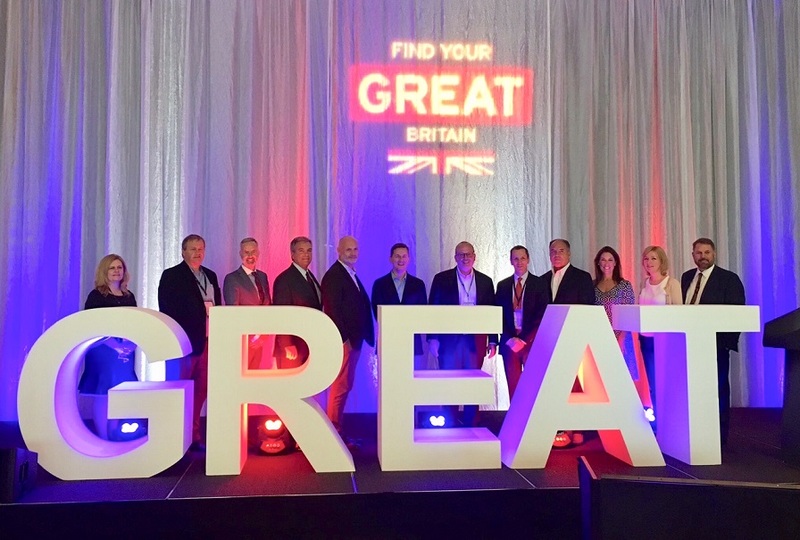 Britain’s national tourism agency, VisitBritain, has launched its new US Tourism Advisory Council at Destination Britain North America (DBNA), its leading North American B2B event held in Austin, Texas, October 14-17, 2018. The aim of the council is to provide strategic advice to help steer VisitBritain’s US strategy by providing industry knowledge and expertise from an unbiased and independent point of view. The US Tourism Advisory Council members include: Paul Barry, Avanti Destinations; Jeremy Palmer, Tauck; Zine Belhonchet (represented by Dan Guenther), Rail Europe; Chuck Imhof, Delta Airlines; Stephen McGillivray, Travel Leaders Network; Wendy Olson Killion (represented by Jennifer Andre), Expedia; Guy Young, The Travel Corporation; Gavin Landry, Executive Vice President, Americas, VisitBritain; Paul Gauger, Senior Vice President, Americas, VisitBritain; Sheelagh Wylie, Chief Marketing Officer, Americas, VisitBritain; and Carl Walsh, Director of Travel Trade, North America, VisitBritain. “The global travel and tourism industry is more competitive than ever thanks to steady growth from international travelers. The council’s insights and expertise will further strengthen Britain’s role as a world=class destination,” says Landry. Also announced at Destination Britain North America this year is a series of new bookable products available on VisitBritain’s consumer website. Designed to be the integrated next step of its new ‘I Travel For’ campaign launched earlier this year, the products align with the Passion Points and experiences that Americans are looking for when they travel to Britain. The members of the new US Tourism Advisory Council were welcomed at the annual business-to-business event, Destination Britain North America (DBNA) which attracts British tourism businesses and North American buyers and travel trade media for 3 days of meetings, networking opportunities and educational seminars. This year, 150 buyers, suppliers and travel trade media attended with the goal of creating new partnerships and building on existing relationships to achieve shared goals of increasing business and travel to Britain. During the course of the 3-day event, approximately 5,000 business meetings were conducted. North America remains a key market for tourism to Britain and underscores the importance of this international mission in connecting UK Suppliers with buyers across the Americas. The US is Britain’s No. 1 inbound market for spend. US visitors spent £3.6 billion pounds in 2017, an increase of 9% compared to 2016. In 2017, US visits to Britain increased compared to the year prior by 13% to 3.91 million, the highest since 2000. And the positive news continues – ForwardKeys bookings as of September 30, 2018 reflect the final quarter of 2018 (October to December) from North America are currently up 17% compared to quarter 4 last year and up 18% for arrivals in the next 6 months. VisitBritain delivered specialized seminars to attendees, including focuses on Insights: The Shape of Things to Come, Food & Drink, and Discover England Fund projects (a 3-year, £40 million fun to create and support new tourism product in England). Sponsors of DBNA include Visit Wales, Air Canada, Strawberry Fields, and the Discover England Fund.